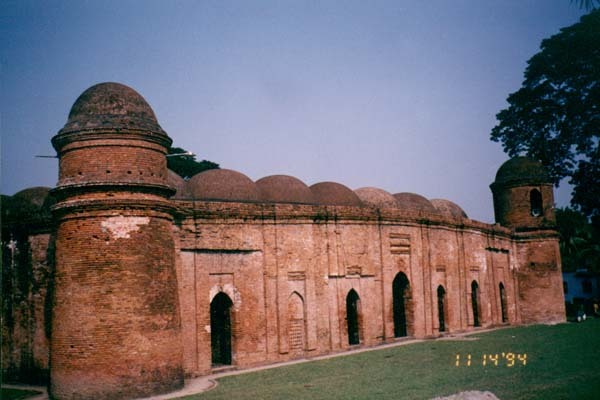 The historic mosque-city of Bagerhat is located about 25 kilometres southeast of Khulna. Bagerhat was founded by Saint Ulugh Khan Jahan in early 15th century. Khan Jahan adorned his city with many mosques, bridges, roads, palaces, mausoleums and other public buildings.